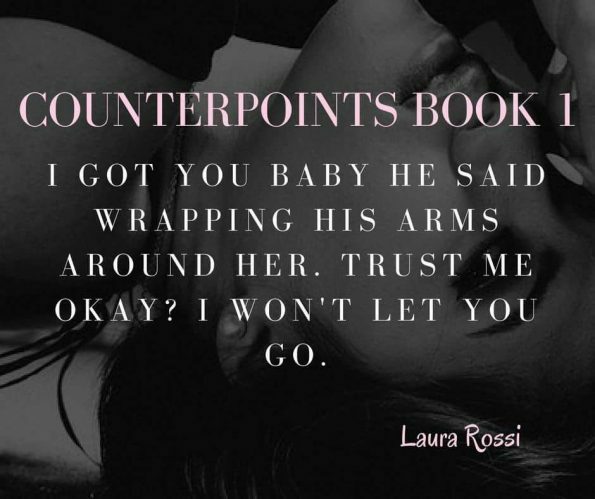 Review – Counterpoints ( Book #1) by Laura Rossi – 5 Sweet, Charming, Romantic Stars!!! 5 Sweet, Charming, Romantic Stars!!! Isabella has her dream job, and nothing is going to stop her from succeeding. The one thing she hadn’t planned on, was falling in love. Is love worth the risk? Or will she get burned along the way? Laura Rossi has blown me away, once I started Counterpoints, I could not put this book down. I was thrown into this adventure, and I felt like I was living the dream with Isabella, experiencing the world with her, meeting new friends, discovering who Isabella was and the many talents she had. It was almost as if I too, was falling in love with this beautiful, charming, caring, talented man, and like her, I wondered, was it all too good, to be true? This story is beautiful, captivating, charming, and I had this giddy kind of feeling as I read it, I can’t truly explain why, other than I just absolutely loved these characters, I honestly felt like they were my friends, and I was so excited, watching their relationship unfold. Counterpoints #1 is the first book Laura Rossi wrote, and I have already read one of her other books, Skins, which is a newer release; so, I already feel, she is a wonderful, talented writer. Having now started this series, I can see how far she has progressed in her writing, since she first wrote the Counterpoint series. This book had a few minor elements, that I feel needed slight improvement. However, this did not draw away from the story, which is why I have given it 5 stars. The storyline, and the character development, are all there and I feel this book is the start of what will be a fantastic series. Laura Rossi leaves us with a cliff hanger with his book, I love how she builds the anticipation, the want, and the need, for more from these enchanting characters. I cannot wait to delve into book #2. If you love contemporary romance, with added humour, suspense, magical moments, and a few hot drivers thrown in, this book is for you!